The Battle of Yorktown during the American Civil War begins. Union forces under General George McClellan arrive at Yorktown, Virginia, and establish siege lines instead of directly attacking the Confederate defenders. This was the opening of McClellan’s Peninsular campaign. He sailed his massive Army of the Potomac down Chesapeake Bay and landed on the James Peninsula southeast of the Confederate capital of Richmond, Virginia. He reasoned that this would bring him closer to Richmond, and the Confederates would have a difficult time gathering their scattered forces to the peninsula. 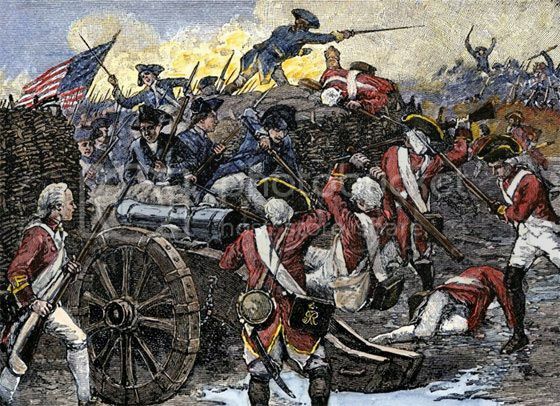 The first resistance came at Yorktown, the site of George Washington’s decisive victory over Lord Cornwallis to end the American Revolution 91 years earlier. McClellan was discouraged by what he thought was a substantial force resting inside of strong and well-armed fortifications. The Confederates he saw were actually 11,000 troops under General John B. Magruder. Although vastly outnumbered, Magruder staged an elaborate ruse to fool McClellan. He ordered logs painted black, called “Quaker Guns,” placed in redoubts to give the appearance of numerous artillery pieces. Magruder marched his men back and forth to enhance the illusion. The performance worked, as McClellan was convinced that he could not make a frontal assault. He opted to lay siege instead. Not until May 4 did Magruder’s troops finally abandon Yorktown, giving the Confederates valuable time to gather their troops near Richmond. The campaign climaxed in late June when McClellan was driven away from the gates of Richmond in the Seven Days’ battles. "I made this letter longer than usual because I lack the time to make it short." This entry was posted in Uncategorized and tagged 1862, 5 April, Battle of Yorktown by admin. Bookmark the permalink.